Marilyn McReath of Associated Bank celebrated her 50th anniversary with the bank, along with having the longest tenure in the entire company, on November 5, 2012. 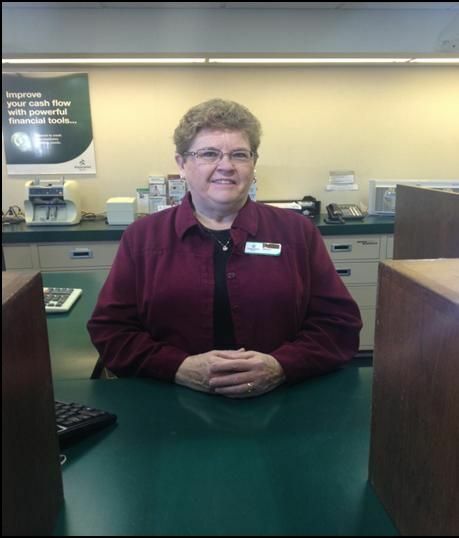 McReath, who is currently the Senior Teller at Portage, began her career as a bookkeeper on Nov. 5, 1962, at what was then known as First National Bank. She assumed many roles within the bank including working in the Proof Department, typing up loans in the Loan Department and servicing the Safe Deposit Box area. Certainly change is no stranger to McReath’s as she has continued to be a role model of success throughout the years. “Going from hand writing all transactions to working with computers” has been the biggest change in banking, McReath recalls. As one can imagine, McReath has quite a following of loyal customers. McReath is not only a wonderful asset to the bank, she is a kind and caring individual. She loves her family and enjoys sharing stories about her grandchildren with her colleagues at Portage. She is a wonderful cook and generously shares her prized recipes. Along with her husband, Val, McReath provides their local church with a Christmas tree every year. McReath will be retiring at the end of the year on Dec. 31, 2012. Her words of wisdom for those entering a banking career are “Go for it. It is a great career.” No doubt these are words she can stand behind with confidence. “I’ll miss waiting on the customers and getting to know them by name, and working with my coworkers the most,” said McReath. It comes as no surprise that McReath will be truly missed as she has grown to become the face of Associated in the eyes of customers and colleagues alike. The colleagues at Portage unanimously agree that she is an inspiration to all.